Today was our first full day in California, and was spent doing a little shopping and running around. We dropped the Cadillac off to the Electric Battery Station this morning to have the tailshaft yoke repaired, as it was losing a little trans fluid via the extension housing seal, which was determined to be the result of wear on the yoke by the mechanics at the EBS. After that, we walked down to the local Starbucks for a morning coffee hit, and then took a drive to the Great Mall of the Bay Area, in Milpitas. The Great Mall is housed in a former Ford Assembly Plant, and contains many discount outlets, including an Oakley Vault and Converse and Nike factory outlets. 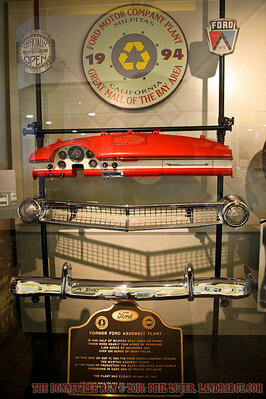 They also have a small display near the food court as a tribute to the history of the Milpitas area in general, and the sites history as a Ford Assembly Plant in particular. After doing some shopping at the Great Mall, which in my case consisted of buying a new pair of Nike sneakers to replace the ones I managed to puncture with steel belts at the Motorplex last season and a 12 pack of Longboard Island Lager from Bevmo, we headed back to David and Nicole's place to pick up David and headed over to Costco to do some more shopping, picking up some supplies for the road trip. 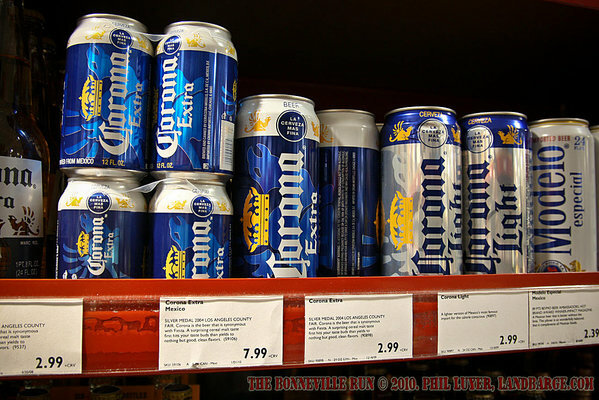 We mostly concentrated on getting some nibbles for the road and a couple of cartons of cheap Corona's, which are at the more expensive end of the 'cheap Mexican beer' scale here, but certainly not in the premium beer category. We finished up by having In'n'Out for dinner and heading back to the house to work out what we're doing tomorrow. Personally, I hope tomorrow starts nice and early with us picking up the Cadillac, as it's stranded at the moment waiting for a new front universal joint to arrive so that the mechanics at the Electric Battery Station can complete the repairs to the front yoke assembly, and then we'll be able to load it up and hit the road for Los Angeles.